We love Trolls and are so excited about season 3 of Trolls: The Beat Goes On that is streaming now on Netflix. Trolls is one of those shows and movie that have such great music you find your self tapping your foot or dancing to the beat. The new Trolls Party Hair Poppy Doll has a few of those songs as well. One of the coolest things happening for Trolls fans is the new DreamWorks Trolls the Experience coming to New York City. Now we can finally step into the world of Trolls like never before. 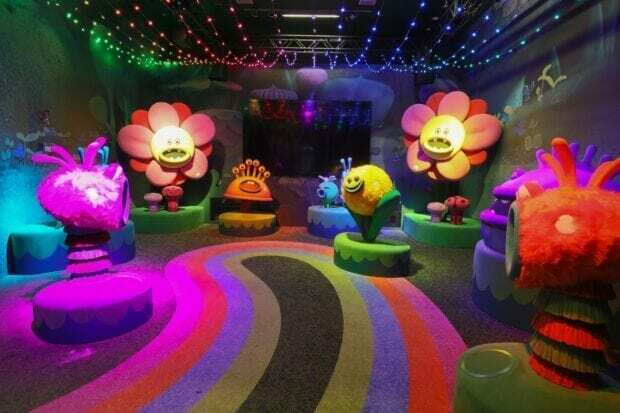 Trolls the Experience is located at 218 West 57th Street, New York, NY. 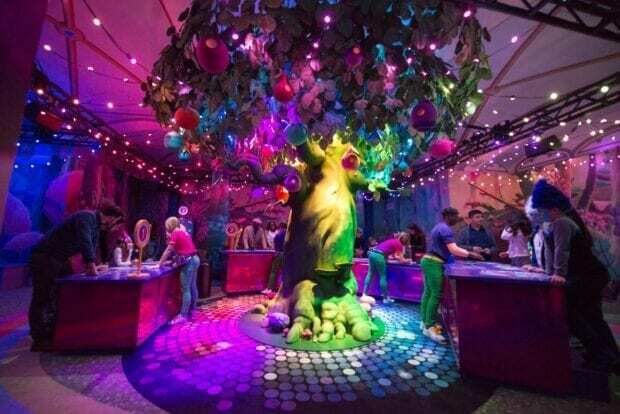 DreamWorks Trolls The Experience is a newly imagined, 12,000-square-foot immersive experience, that brings the vibrant and musical world of Trolls to life. There are interactive and social-sharing moments throughout the building. 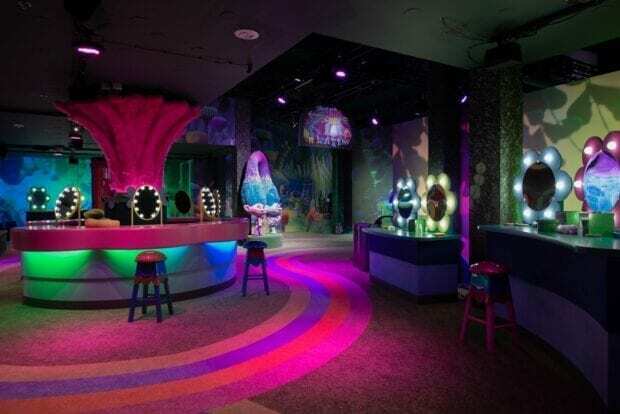 Tickets are now on sale for Trolls the Experience and will open on Thursday, November 15, at 218 West 57th Street, located between Broadway and 7th Avenue in New York City. Guests will be transported into the glittery lifestyle of Poppy on an interactive journey through her Best Day Ever Celebration. Guided by a rainbow path, visitors will sing, dance, hug and celebrate with the DreamWorks Trolls while creating unforgettable family memories. There is also a musical 3D dance party with beats spun by DJ Suki, as well as a sing-a-long with Poppy and her friends from Troll Village. 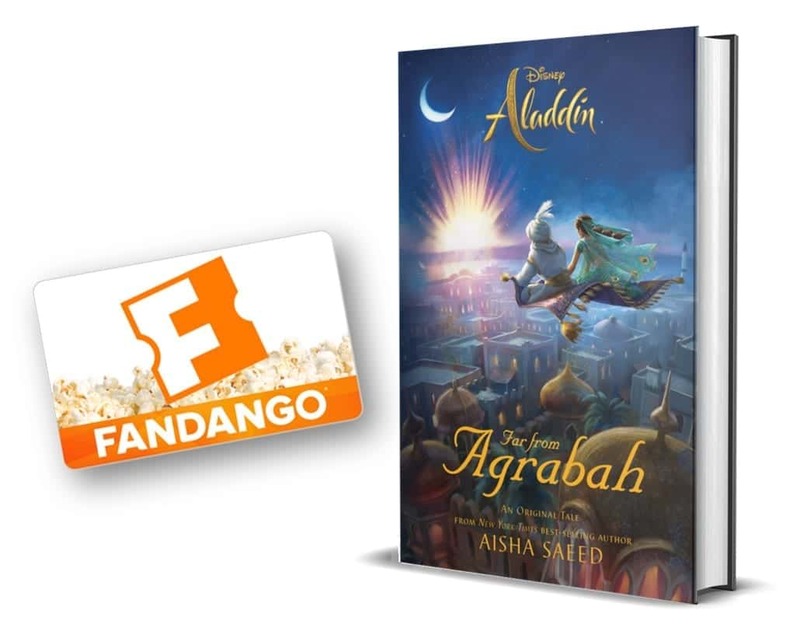 At the end of the journey, there is an “After Party” where guests will receive a keepsake starter scrapbook in Bergen Town that includes scrapbook pages and a complimentary printed photo from their Best Day Ever. 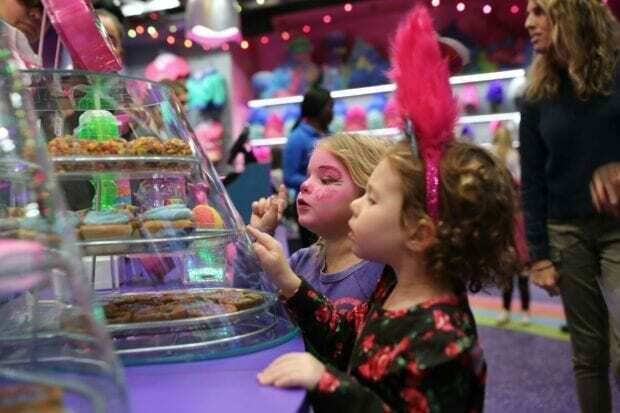 After the day concludes, guests can peruse for their favorite DreamWorks Trolls' souvenirs in the shop or grab sweets and treats from the Cupcakes & Rainbows café. Reserve these fun add-ons for your trip! Limited Availability – Reserve your spot online! Deluxe makeup design – a “full-face” makeup application by a professional makeup artist. A premium “Troll Hair” wig of your favorite DreamWorks Trolls character: Poppy, Branch, or Guy Diamond. A General Admission ticket is required to participate in this experience. The “Hair We Go” Experience must have the same entry date & time as your General Admission tickets. A premium paper scrapbook album with a printed, padded cover and a clear plastic book jacket. Activity pages and clear plastic inserts. DreamWorks Trolls art and patterns pages. General admission is $25 and that is for children 2 and up. For tickets and more information for DreamWorks Trolls The Experience visit: TrollsTheExperience.com . We have been having a blast with the new Trolls Party Hair Poppy Doll as well. She has the coolest rainbow hair that goes up and down just like in the movie and show. Poppy has her roller skates on and when you roll her around she starts to sing! She comes with a hairbrush and some felt decorations for her hair.